Consumer electronics market in Taiwan was once largely relied on the intensive labor to produce products such as keyboards and computer mouse. 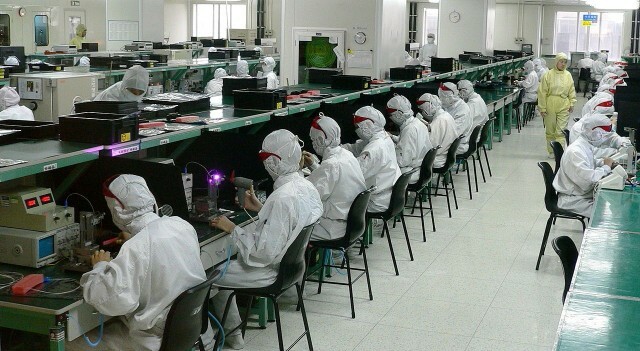 As its economy developed and labor became more expensive, the market shifted successfully from the labor-intensive mode to a high-tech hardware manufacturing producer, and became the world leader in producing computer monitors, motherboards, scanners and a variety of portable PCs. Among the industry, electronic components and personal computer are two areas of international strength of Taiwan’s electronic industry. To be more specific, semiconductor foundries, packaging and testing of integrated circuits and production of blank optical disks and MROMs (mask read – only memory) are what Taiwan is especially good at. And it is ranked second (after the US) in integrated circuit design. Now consumer electronics market in Taiwan has been an important component in driving the economic development. In 2014, electronic components as share of GDP have reached 7.0 percent. Taiwanese manufacturers benefit from economies of scale and have managed to press down unit cost to levels below their competitors, thus gaining a competitive advantage. Electronics and information technology are the biggest employer in Taiwan, which owns 26 percent of the national workforce. It is also the biggest in the manufacturing sector. Since the information technology is rapidly developing, now the industry focus has shifted from hardware to software. The global market for PCs has also almost come to saturation. Worldwide sales of PCs, for which Taiwanese companies control over 90 percent of the final design and manufacturing, are declining. The IDC Group reported in April 2015 that 69 million PCs shipped for the first quarter of this year, which amounted to a 6.7 percent decline over the same period last year, and it’s also the lowest number of PCs shipped for the quarter since 2009. However, sales of smartphones, for which Taiwanese companies control less than a fifth of the market, are rising briskly. In the scope of individual firms, the situation is also no more than pessimistic. Foxconn and Acer have each reported that sales in the first quarter dropped 19 percent from a year ago. HTC’s sales were even plunged 37 percent. The once glorious ‘global high-tech factory’ model is running out of steam. The consumer electronics market in Taiwan is being squeezed between cheap competition from China and the strong brands of global leaders. It now structurally stuck one level below the high-margin global brands in the hierarchical global production networks.